Ebola… again: What have we learned? As Susan Sontag eloquently noted decades ago, illness conjures metaphors that reveal a great deal about how we think about, and, in turn, address them. None more so than the lethal Ebola, which monstrously disfigures bodies before killing the infected person and spreading rapidly through the routines of everyday life. In the West, Ebola evokes images of illness as a deadly foreign invasion, while in the West African pandemic we know that first those who were afflicted—and later those who survived—were stigmatized as possessing demons. The growing outbreak in the DRC has produced calls for greater physical and financial involvement from the US government by a number of health law scholars, citing the potential for exponential spread if it reaches highly populated areas, and underscoring it as a global health security issue. Thus far, WHO’s Director General has not declared it a “Public Health Emergency of International Concern” (PHEIC), which triggers consideration of both trade and travel restrictions, as well as international assistance and under the International Health Regulations. The DRC outbreak brings into focus other issues besides global health security, such as global health financing and how we understand health systems. Since SARS and the West African Ebola epidemic, the World Bank created a Pandemic Emergency Preparedness Fund (PEF), which provides a financing facility that expedites funding. 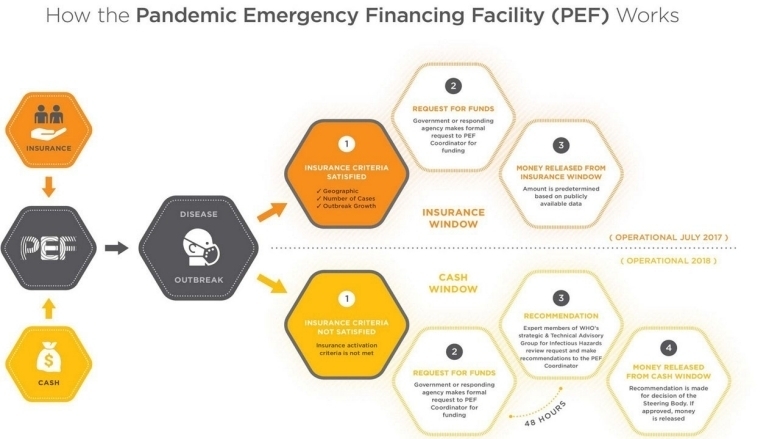 It is early days, but it is not clear whether the PEF will just supplement crisis funding or measurably enhance preparedness that would prevent outbreaks from becoming epidemics—or the governance structures necessary to do so in practice. The Ebola outbreak in the DRC is benefiting from clinical research, as a vaccine in late-stage trials has shown to be effective and is being employed through compassionate use protocols to attempt to stem transmission and vaccinate at-risk populations, such as health workers. At the same time, however, attempts to conduct randomized clinical trials reveal the enormous logistical and ethical challenges of performing clinical research in the midst of not only an active outbreak, but a highly unstable conflict situation. Perhaps above all, the Ebola outbreak in the DRC shows how health systems—far from being technical delivery apparatuses—must be seen as social institutions at the interface of the state and society. Just as in West Africa in 2014-16, years of conflict (ongoing in this case), coupled with entrenched discrimination and neglect have sown deep distrust of both the health system, and health/aid workers. Our attention in the global health community is too often captured by an emergency, only to return to business-as-usual approaches to expanding private financing for universal health coverage, and conquering one disease at a time, which largely ignore the importance of political and social determinants and understanding health systems as part of democratic societies.